Spinal manipulation is relieves pressure on joints, reduces inflammation, and improves nerve function. It has been a trusted form of treatment since the ancient Greek Hippocrates documented manipulative techniques in his writings back in 1500 B.C. 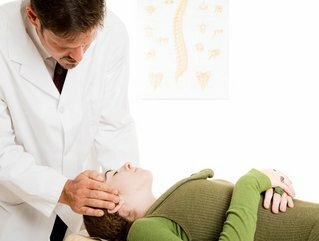 Today, spinal manipulation is used to treat conditions such as allergies, menstrual cramps and headaches, as well as the more commonly known neck and back dysfunction and pain. Dr. Van Campen and Dr. LaBrecque utilize the low force techniques of Thompson Drop and Diversified. Proper alignment allows for optimal posture and biomechanical function of the spine. This can help prevent and lessen the effects of common age related disorders such as Degenerative Disc or Joint Disease. Such as the alignment of tires on a car, if the stress is unevenly distributed throughout the body and it's normal function, the body will wear unevenly. This can cause pain, bone spurs, herniated discs, degeneration, etc.